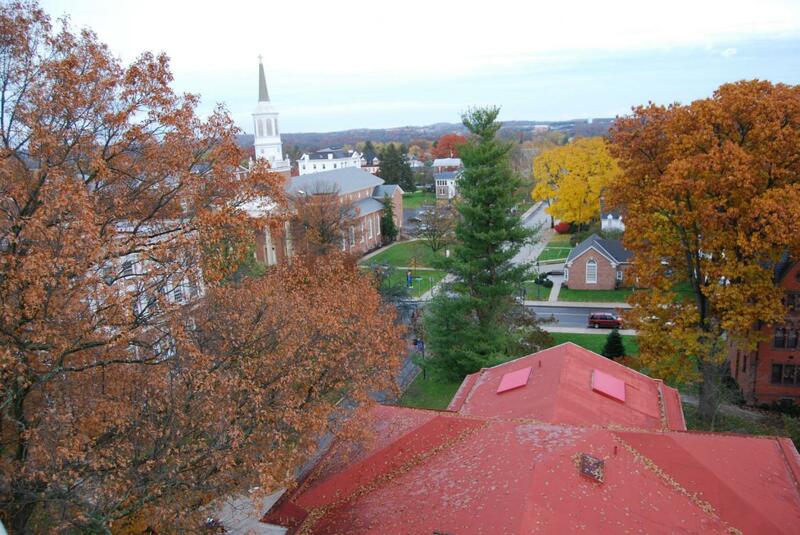 Taken from the top of the cupola of “Old Dorm,” or “Pennsylvania Hall,” on the Gettysburg College campus in Gettysburg, Pennsylvania, with Glatfelter Hall in the background. Today we’ll be showing you a unique set of images from the cupola. This view was taken facing southwest at approximately 5:05 PM on Thursday, November 10, 2011, and is courtesy of Tommy Riggs/Gettysburg Times. Plans for the erection of Old Dorm were undertaken in 1835, three years after the college’s initial founding as Pennsylvania College. 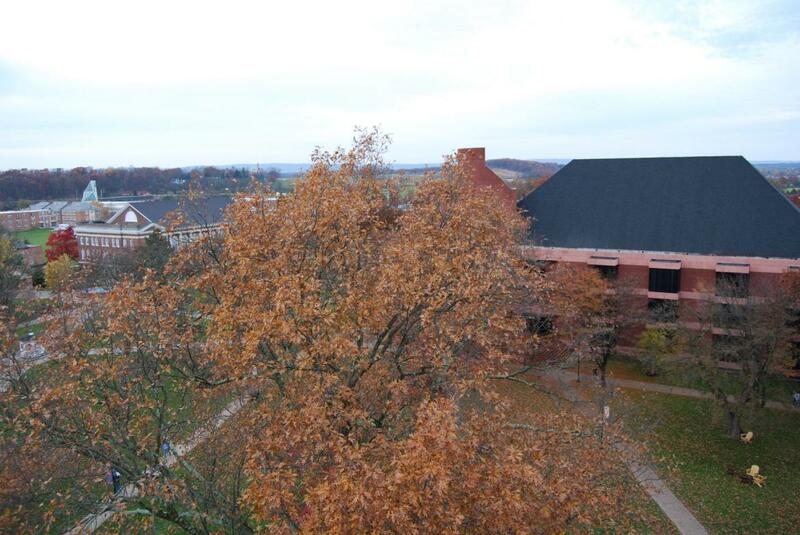 The Lutheran Theological Seminary is visible out of focus in the left background. 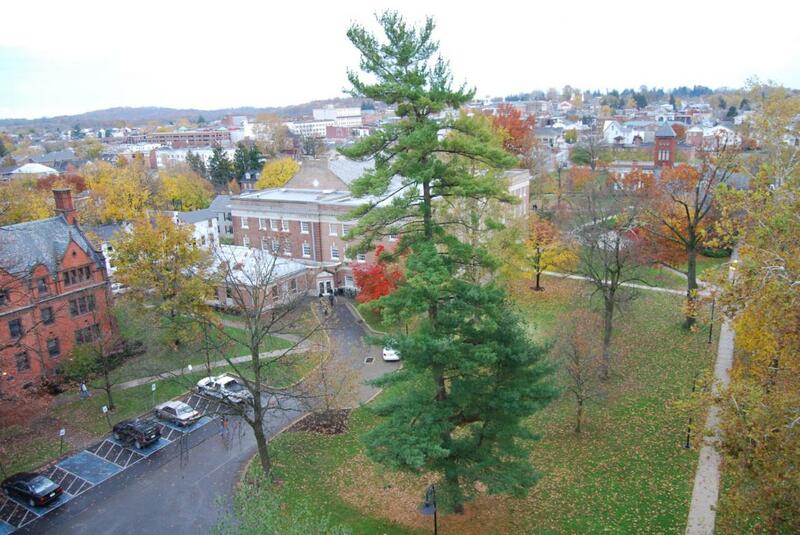 Much of the College’s recent development has taken place on property which can be seen in the background of this western view, including new science and rec/athletic buildings. 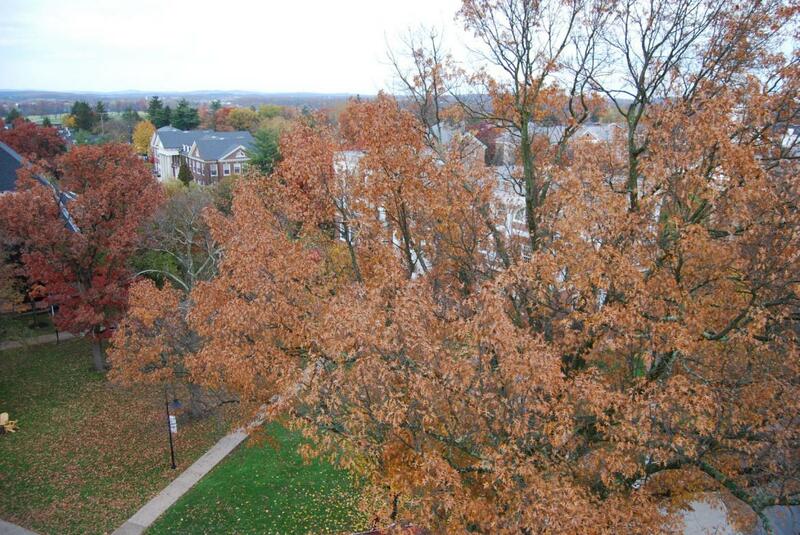 This view was taken facing west at approximately 5:05 PM on Thursday, November 10, 2011, and is courtesy of Tommy Riggs/Gettysburg Times. Pennsylvania Hall was designed by John Cresson Trautwine of Philadelphia and was contracted to Gettysburg builder Samuel Hunter for $23,000. The building was completed in 1837, with additional wings added in 1889. Glatfelter Hall, another iconic symbol on campus is visible in this view. 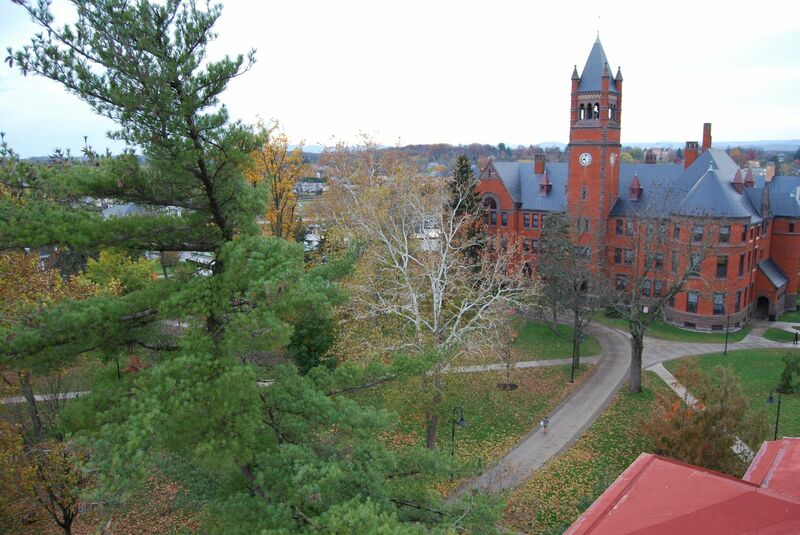 Both Glatfelter and Pennsylvania Hall feature prominently in an early 1900s panoramic view from Oak Ridge. This view was taken facing southwest at approximately 5:05 PM on Thursday, November 10, 2011, and is courtesy of Tommy Riggs/Gettysburg Times. 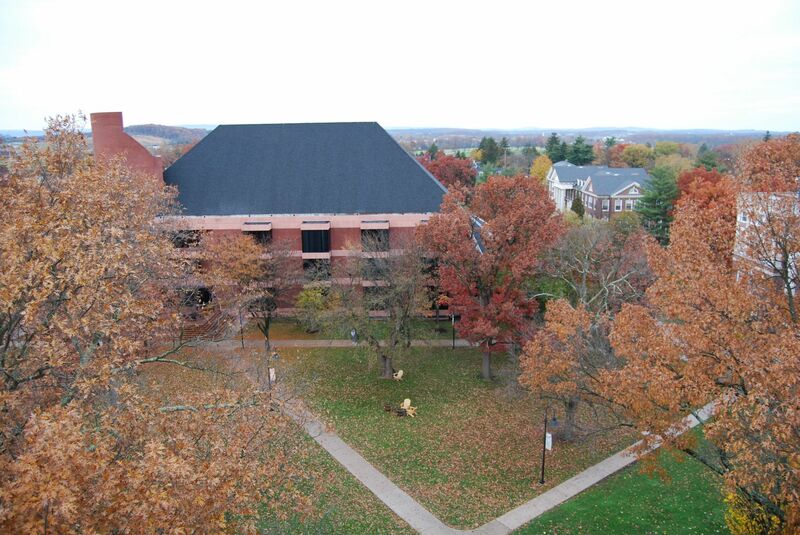 From left to right are McKnight Hall, Schmucker Hall, and Brua Hall (home of the Kline Theatre). This view was taken facing southeast at approximately 5:05 PM on Thursday, November 10, 2011, and is courtesy of Tommy Riggs/Gettysburg Times. 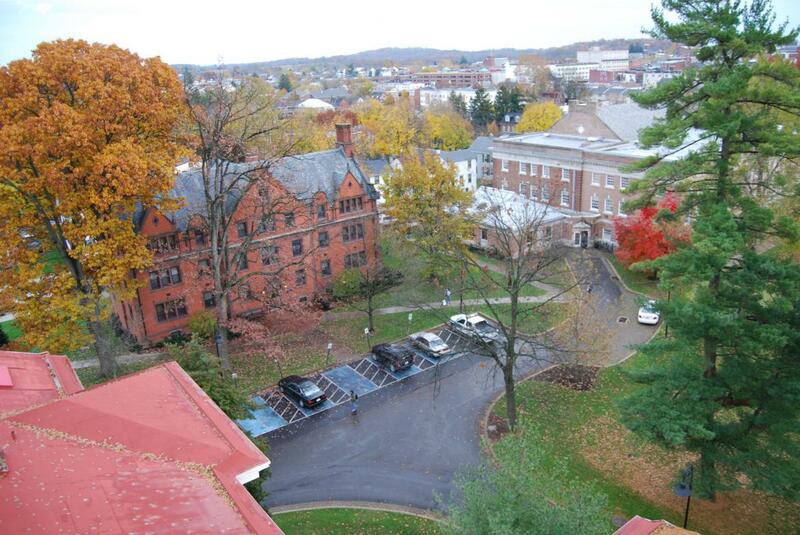 A clearer view of McKnight Hall. The Gettysburg Borough Parking Garage can be easily seen in the top-center of this photo — views from the top of that structure can be found in this February 2nd posting. This view was facing southeast at approximately 5:05 PM on Thursday, November 10, 2011, and is courtesy of Tommy Riggs/Gettysburg Times. “The Chapel” is visible in this eastern view. This view was facing northeast at approximately 5:05 PM on Thursday, November 10, 2011, and is courtesy of Tommy Riggs/Gettysburg Times. 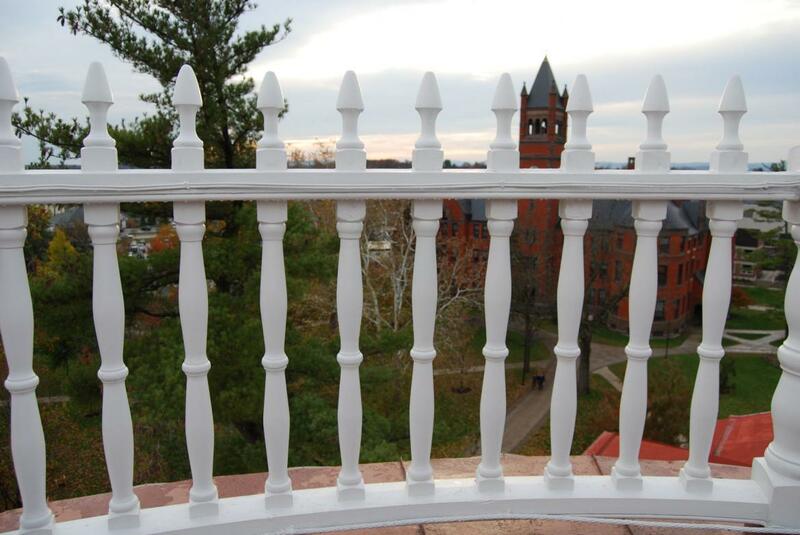 This view was taken facing northeast at approximately 5:05 PM on Thursday, November 10, 2011, and is courtesy of Tommy Riggs/Gettysburg Times. To the north of Pennsylvania Hall is the Musselman Library. This view was taken facing north at approximately 5:05 PM on Thursday, November 10, 2011, and is courtesy of Tommy Riggs/Gettysburg Times. 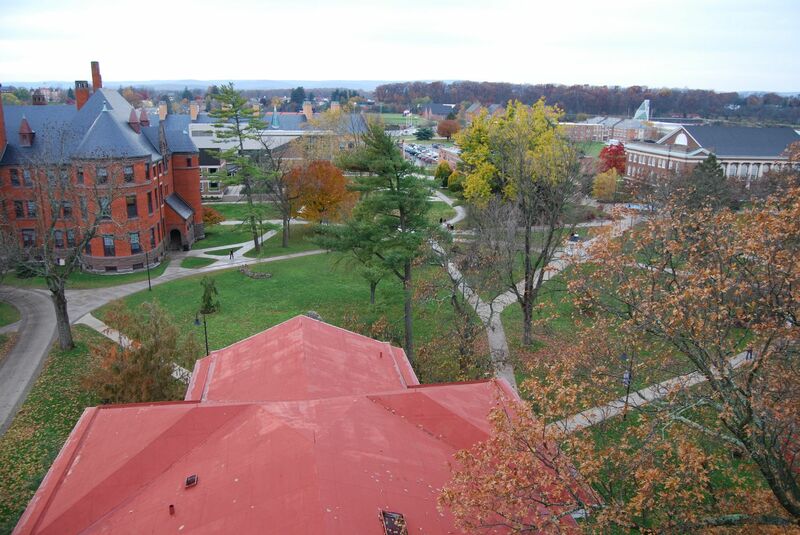 The Peace Light Memorial is obscured by the library building, but Oak Hill is visible in the top-center of this photograph. This view was taken facing northwest at approximately 5:05 PM on Thursday, November 10, 2011, and is courtesy of Tommy Riggs/Gettysburg Times. 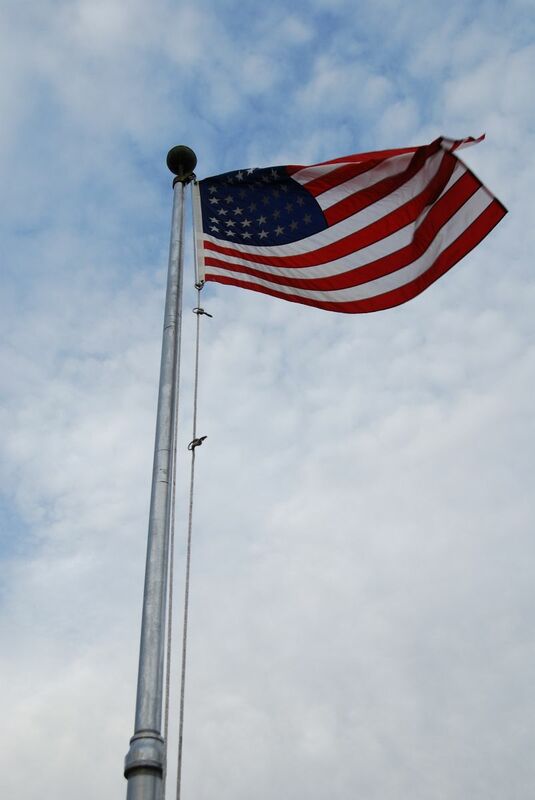 Our special thanks to Tommy Riggs of the Gettysburg Times for sharing these photos with us, including this one of the flag that currently flies on top of the cupola at Old Dorm. This view was taken facing north at approximately 5:05 PM on Thursday, November 10, 2011, and is courtesy of Tommy Riggs/Gettysburg Times.